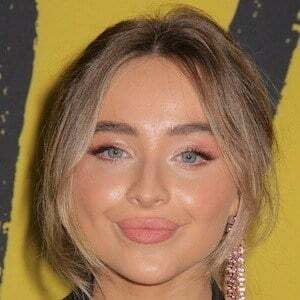 Actress and singer who stars as Maya Hart on the Disney Channel series Girl Meets World. She released her debut EP Can't Blame a Girl for Trying in 2014, followed by the albums Eyes Wide Open (2015) and Evolution (2016). She guest-starred in a 2010 episode of NBC's Law & Order: Special Victims Unit. She had a recurring role on the Fox series The Goodwin Games and appeared in a 2013 episode of Orange Is the New Black. She was born in Bucks County, Pennsylvania. She has two sisters named Shannon and Sarah as well as a half-sister named Cayla. Her mother's name is Elizabeth and her father's name is David. She received third place in a competition for young vocalists that was sponsored by singer Miley Cyrus' official website. This site is a scam and the person who made this site should make a real site what if the person doesn't have a card hmmmm...? ?